One Night Only. Saturday, September 7, 2019; Cleveland Public Theatre, various locations; 7:00pm; Tickets $165 ($95 tax deductible). 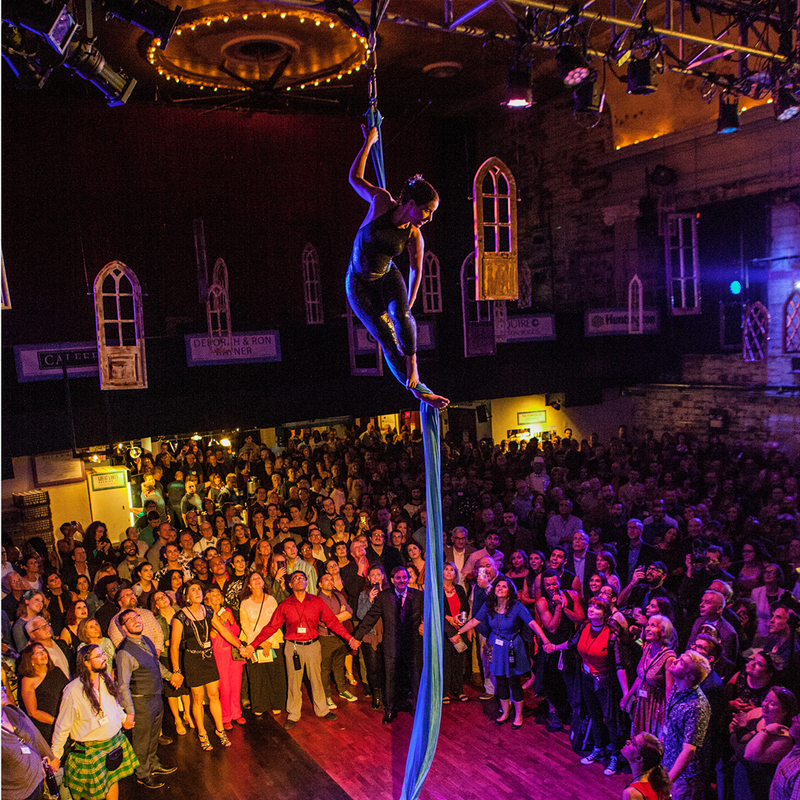 Cleveland Public Theatre’s annual fundraising extravaganza transforms the CPT campus into a labyrinth of theatre, dance, visual, and performance art in every corner. Ticket is all-inclusive with fabulous local food and complimentary drinks served all night long. A feast for the eyes, mind, appetite, and imagination—proceeds benefit CPT’s groundbreaking artistic work and life-changing education programs. This year’s Honoree will be announced later this week. Runs October 5 – 26. Previews October 5 & 10. Gordon Square Theatre. 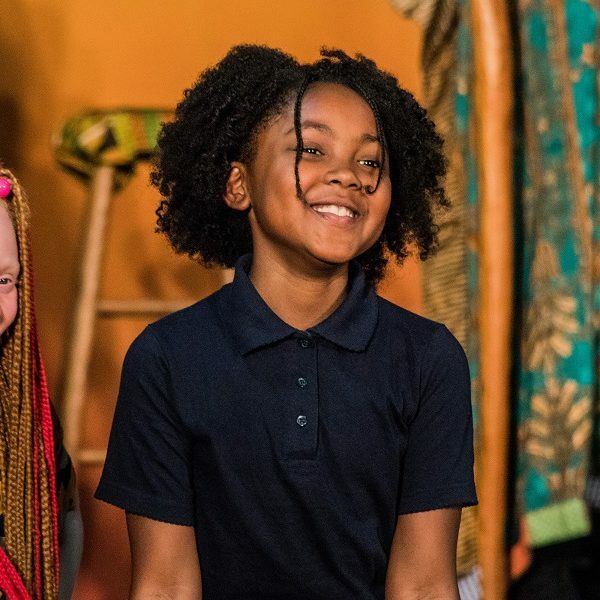 Written by Lisa Langford, 2018/2019 Nord Family Foundation Playwright Fellow, 2019 Joyce Award Winner. Directed by Raymond Bobgan. Needra and Marlene enjoy a perfect post-racial friendship until two problematic robots walk into their christening celebration. 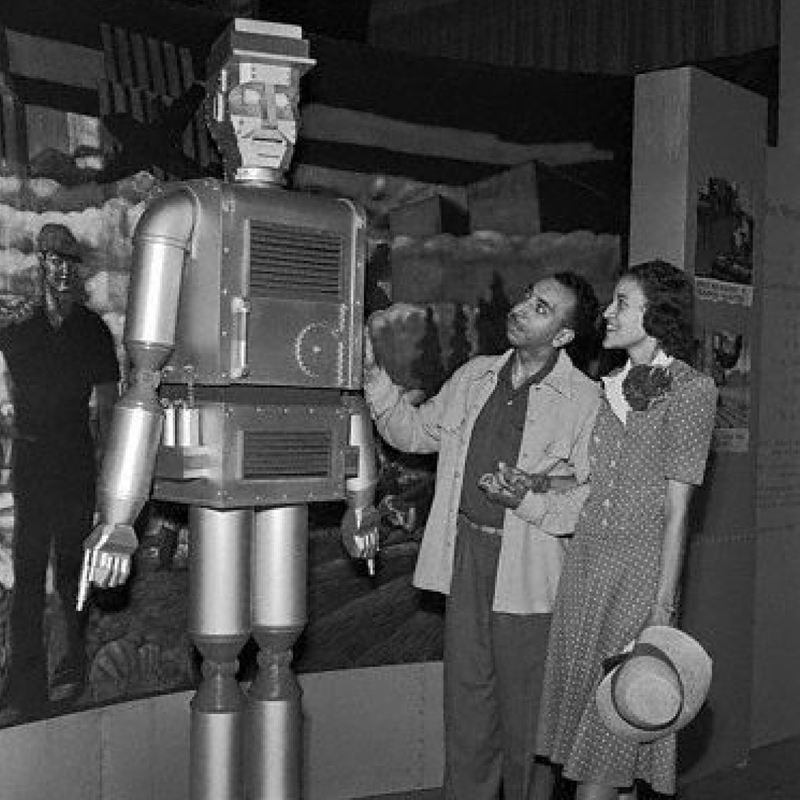 These automatons, based on Westinghouse’s 1930 brown-skinned robots, and a glitch in the time-space continuum place them at opposite ends of society in an alternate past. This hilarious comedy moves swiftly from the outrageous to the profound as it delves into our traumatic legacy and explores new ideas about how to move forward. World Premiere. Opens Friday, November 29. Gordon Square Theatre. Created by Liz Conway, Michael Seevers Jr., and Beth Wood. Directed by Beth Wood. 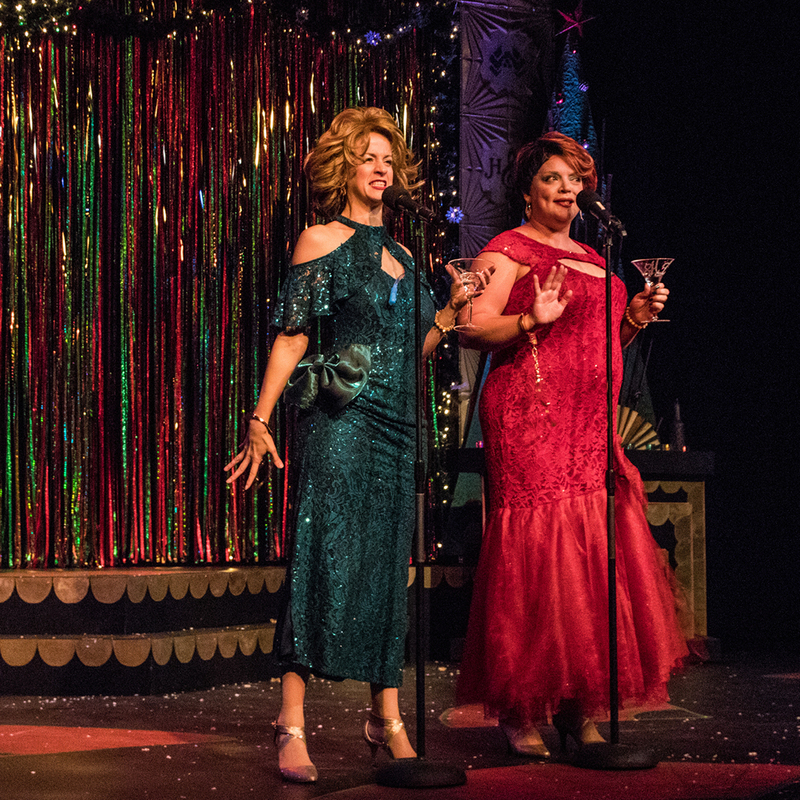 This holiday season, join Holly and Jolly Loush (aka The Loush Sisters) for their deeply anticipated return to the stage in a bawdy, boozy, over-the-top holiday cabaret. Fueled by song, sidekicks, and a hefty dose of “holiday cheer,” The Loush Sisters reimagine their 2013/2014 World Premiere production based on A Christmas Carol as you’ve never, ever seen it before. World Premiere. Runs December 5 – 21. Previews December 5. James Levin Theatre. Written by Maya Malan-Gonzalez. Composition & Arrangements by Emiliano Valdez & Daniel Valdez. Directed by Holly Holsinger with Jason Estremera. ¡Este no es el cuento navideño de la abuela! 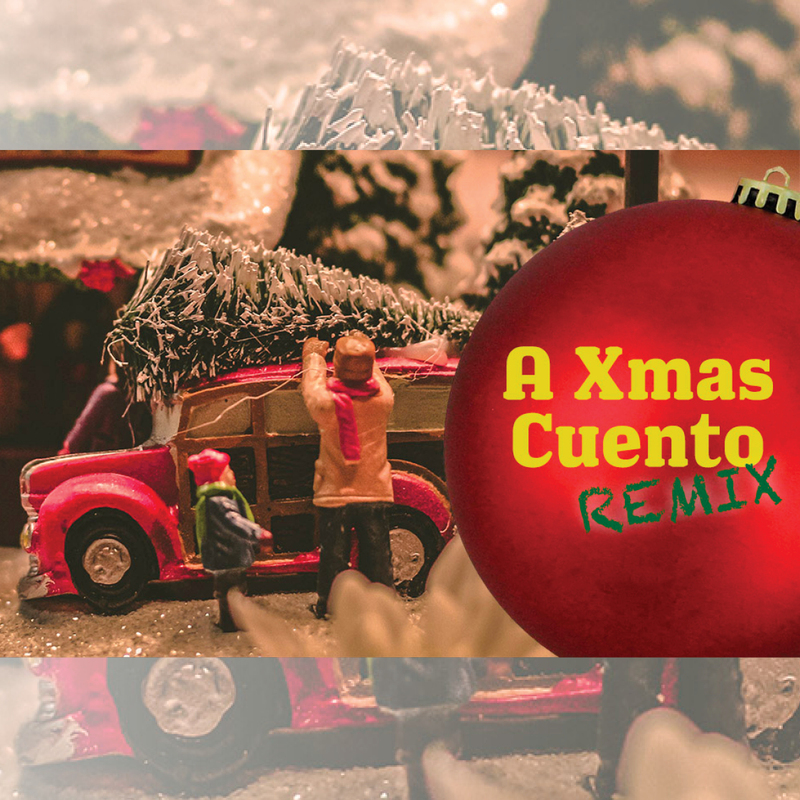 Teatro Público de Cleveland blows the roof off with this Latino culture and modern music-infused take on Dickens’ classic Christmas tale. In English & Spanish with bilingual subtitles. Rolling World Premiere with Milagro Theatre, Portland. January 23 – 25. CPT Campus, multiple venues. Featuring work by various Northeast Ohio artists. Runs February 6 – 15. Previews February 6. Gordon Square Theatre. Created by the ensemble members of Masrah Cleveland Al-Arabi مسرح كليفلاند العربي with Raymond Bobgan & Faye Hargate. Directed by Raymond Bobgan. Masrah Cleveland Al-Arabi مسرح كليفلاند العربي—a new project developing work by, for, and with Arabic-speaking communities—shares life-affirming stories that honor community, family, and the freedom of expression. Created by the ensemble cast of amateur and professional performers, this original production guided by Raymond Bobgan and Faye Hargate will feature ensemble members performing their own personal stories, scenes, poetry readings, and live music. The program will be bilingual, presented in English and Arabic with subtitles. World Premiere. Runs February 15 – March 7. Previews February 15 & 20. James Levin Theatre. Written by Nikkole Salter. Directed by Beth Wood. 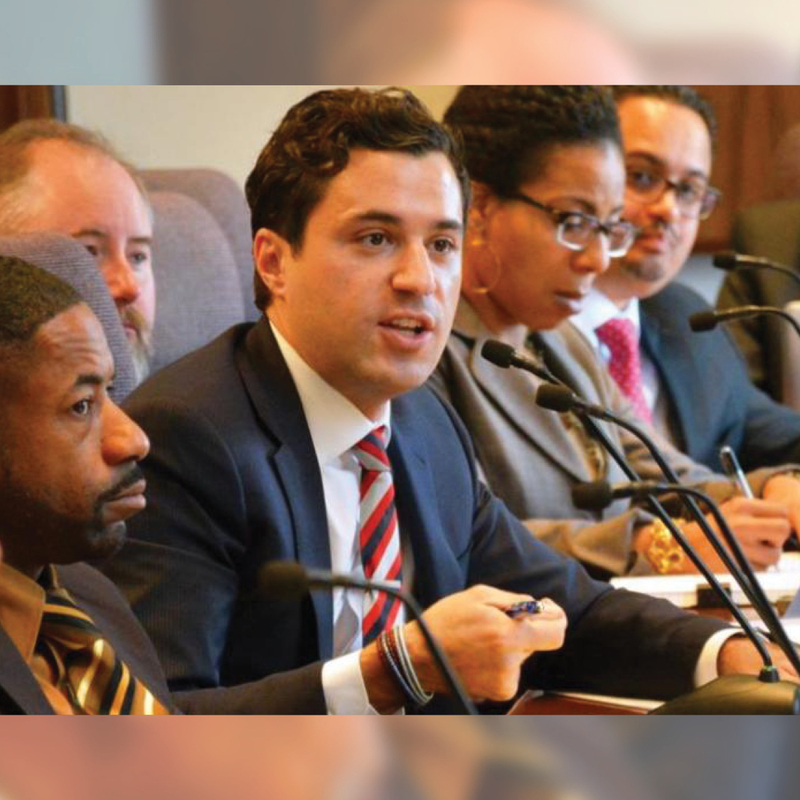 Can a society legislate a change of heart? In Breakout Session (or Frogorse) a corporate training company is vying for the contract for de-escalation and anti-bias training with Cleveland’s Police Department. When the white facilitator tosses the approved curriculum out the window to try to ignite change her own way, the session spirals in unexpected ways. Can a mantis shrimp and a crocodile teach us about building trust and the strength of vulnerability? 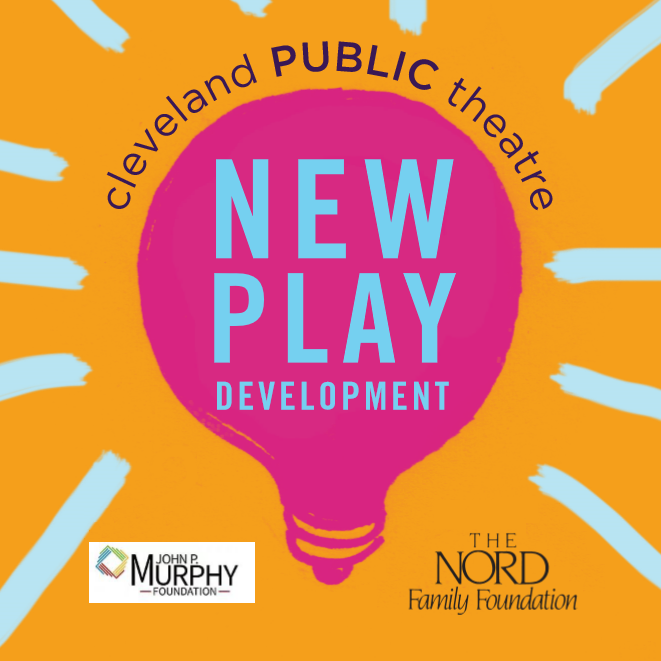 Commissioned by Cleveland Public Theatre with funding from the National New Play Network (NNPN). World Premiere. Runs March 5 – March 21. Previews March 5. Gordon Square Theatre. 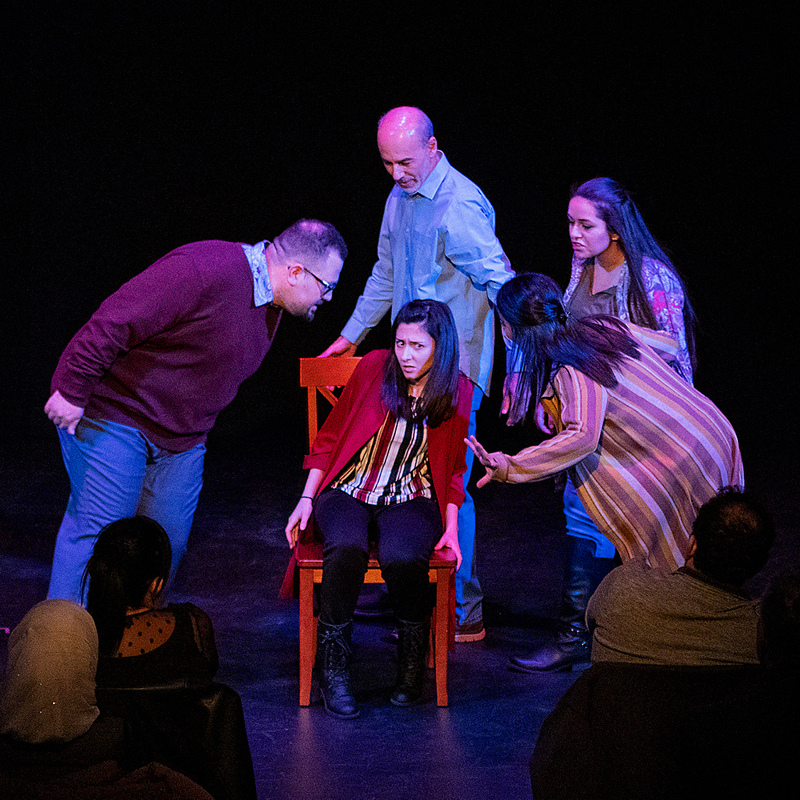 Teatro Público de Cleveland is a collective of Latino theatre artists and produces performances that preserve and promote the cultures of Cleveland Latinos for Spanish-speaking audiences and the broader public. 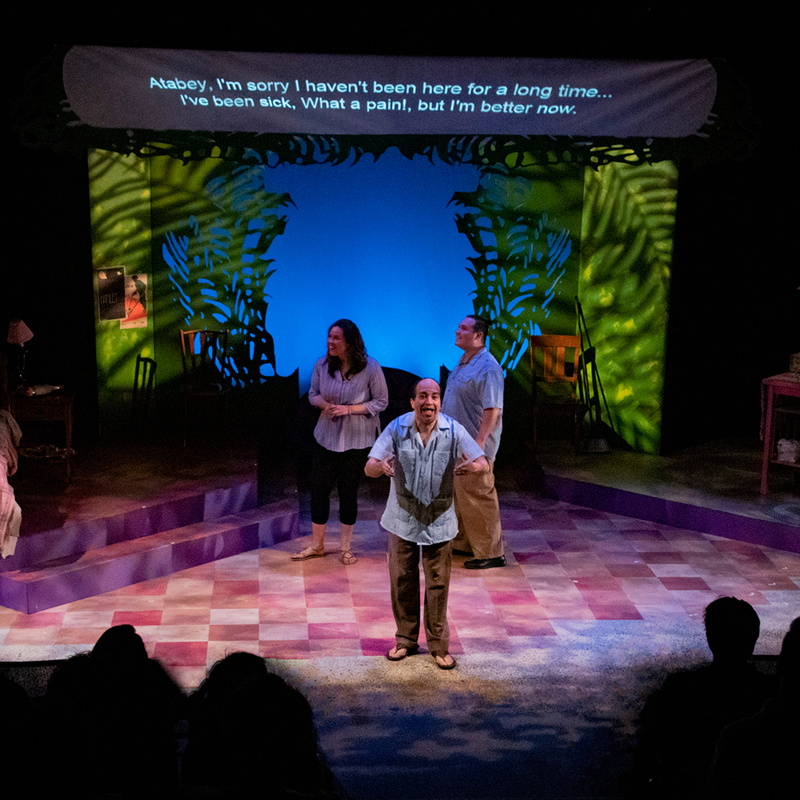 TPC’s spring show, selected by the company, seeks to connect with Latino and non-Latino audiences in a powerful experience of cross-cultural work. April 2 – 25. Gordon Square Theatre. 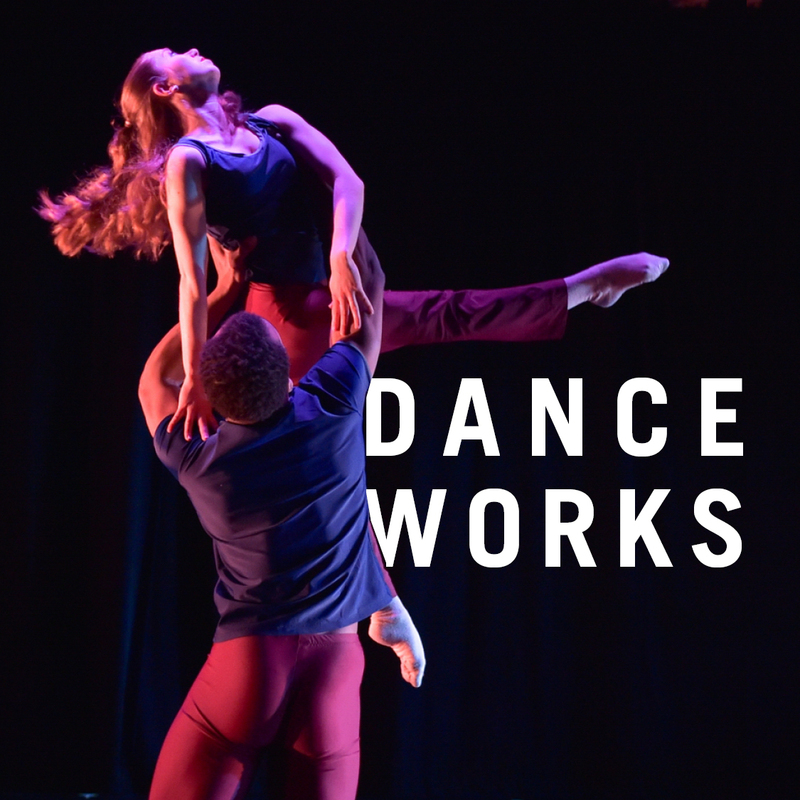 Every year, Cleveland Public Theatre welcomes Northeast Ohio’s most adventurous contemporary dance companies to the Gordon Square Theatre stage for four weeks of single and double bill performances. April 2 – 25. James Levin Theatre. 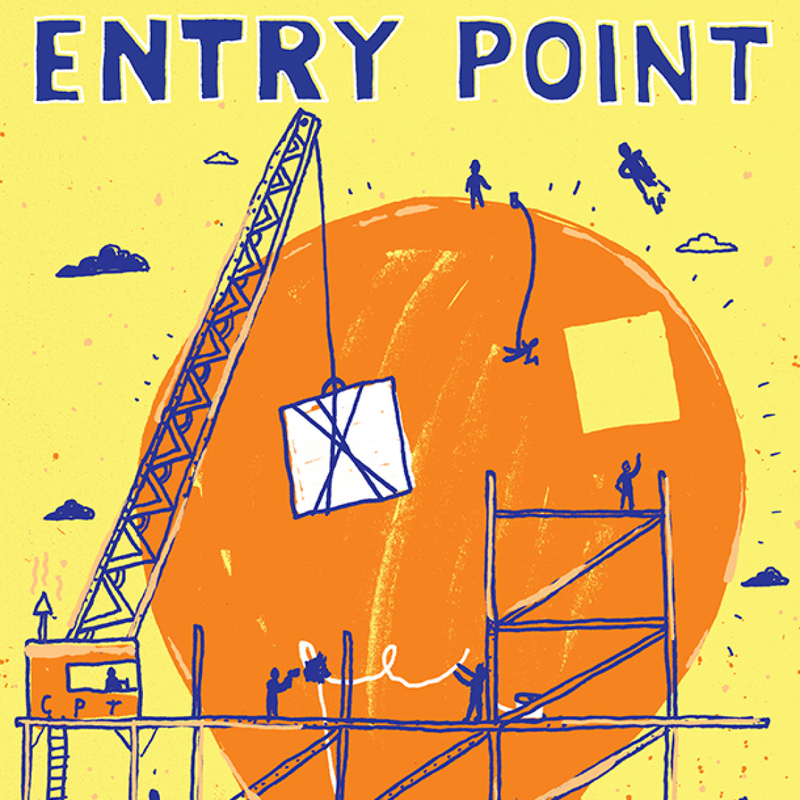 A 4-week play development series featuring works-in-progress by local & national artists. May 2, 7:00 – 10:00pm. St. John’s Episcopal Church in Ohio City. Runs May 16 – June 6. Previews May 16 & 21. James Levin Theatre. Written & Performed by Nina Domingue, 2019 Nord Family Foundation Playwright Fellow. Directed by Nathan Henry. 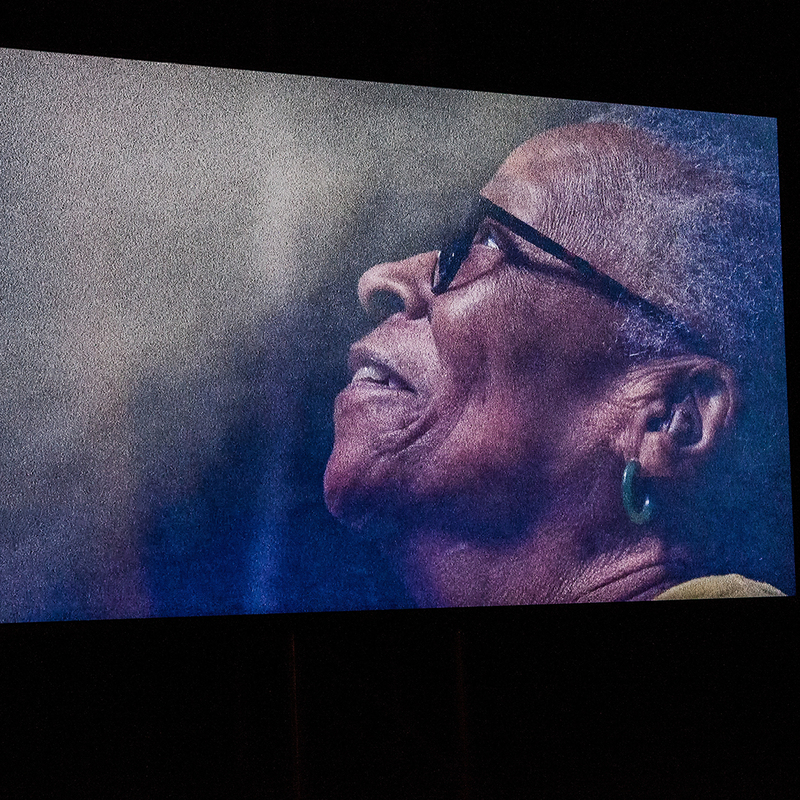 In 2002, Joan Southgate, a retired Social Worker and Cleveland-area activist, stepped off from the small town of Ripley, Ohio, with a simple goal: highlight the courage and resourcefulness of freedom seekers and conductor families who risked everything on the Underground Railroad. Nina Domingue, beloved Cleveland artist, chronicles Joan’s life through the 519-mile walk across Ohio, Pennsylvania, New York, and Canada. World Premiere. Runs May 23 – June 13. Previews May 23 & 28. Gordon Square Theatre. Created by Cleveland Core Ensemble (Raymond Bobgan, Faye Hargate, & Darius J. Stubbs) & guest ensemble members). Directed by Raymond Bobgan. Ranging from the fantastic to the all-too-real, Cleveland Core Ensemble weaves a series of meditations and debates into an adventure of the mind and heart. Masks of Flight is a visceral and dynamic meditation on humanity’s desire for freedom and love amidst our incessant tendency to control and manipulate. Can we choose a destiny that is about light and flight? Masks of Flight is as much a play, as a poem is a work of fiction. World Premiere. 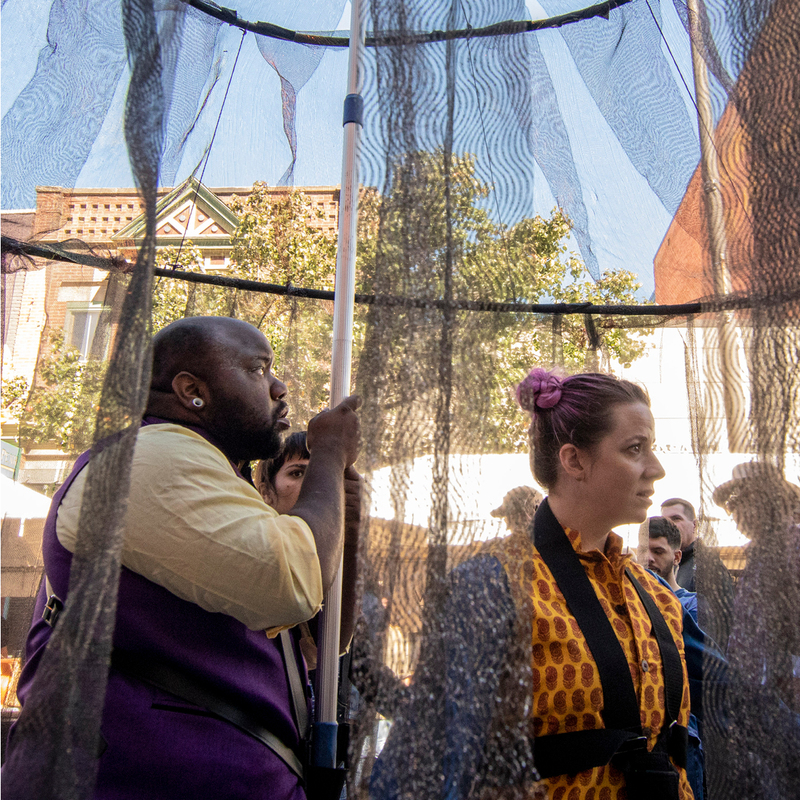 In addition to the Entry Point festival and Test Flight series detailed above, an ongoing fellowship program throughout the 2019/2020 season, Catapult, is intended to help artists move their projects to a “production ready” stage through multiple readings, rehearsal time at CPT, workshop productions, and/or invitational showings. Catapult playwrights and creators will be awarded a Nord Family Foundation Fellowship and play an active role in the life of the theatre while they are developing their work. And, as always, The Dark Room open mic for playwrights continues the second Tuesday of every month (7:30pm at The Church at CPT), pairing playwrights with actors to perform (mostly) cold readings of scripts-in-progress in a fun, low-risk atmosphere. CPT is in the process of filling out the rest of the season—stay tuned for an announcement early next season for late-breaking additions to what will be a stellar year. Our incredible partners and friends throughout Cleveland are a major part of the special sauce that makes CPT a hub for compassion, innovation, and community. 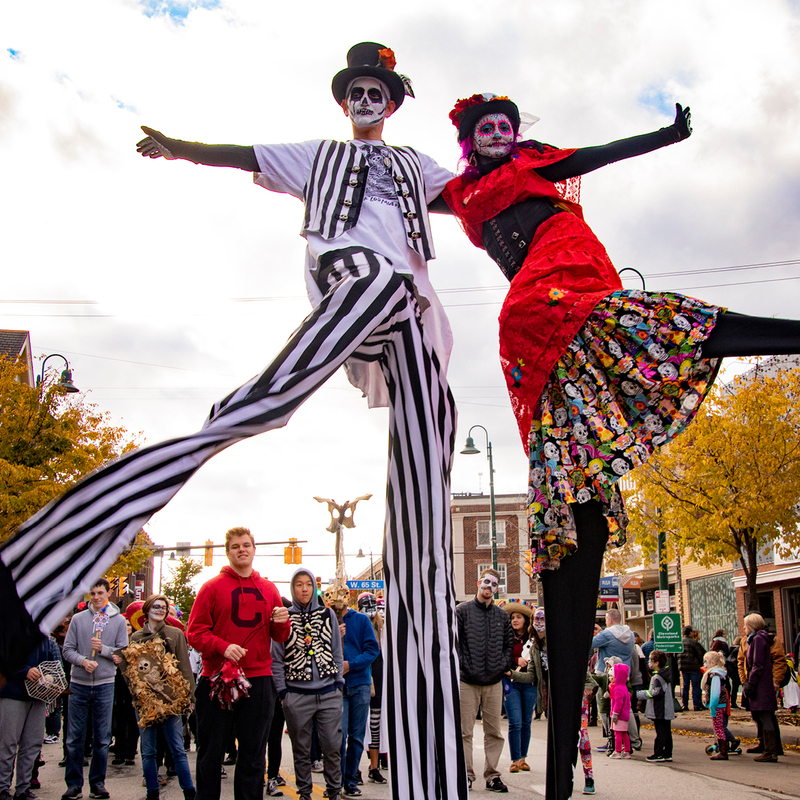 Mark your calendars for Día de Muertos, Y-Haven Theatre Project, and Pinch and Squeal’s WIZBANG! Saturday, November 2. 11:00am – 10:00pm. CPT campus: Church, Parish Hall, & surrounding area. 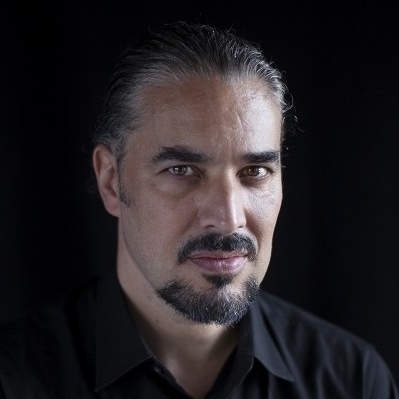 Artistic Director: Héctor Castellanos Lara. Runs November 7 – 10. James Levin Theatre. Created & Performed by the men of Y-Haven, a branch of the Greater Cleveland YMCA. Directed by Adam Seeholzer. 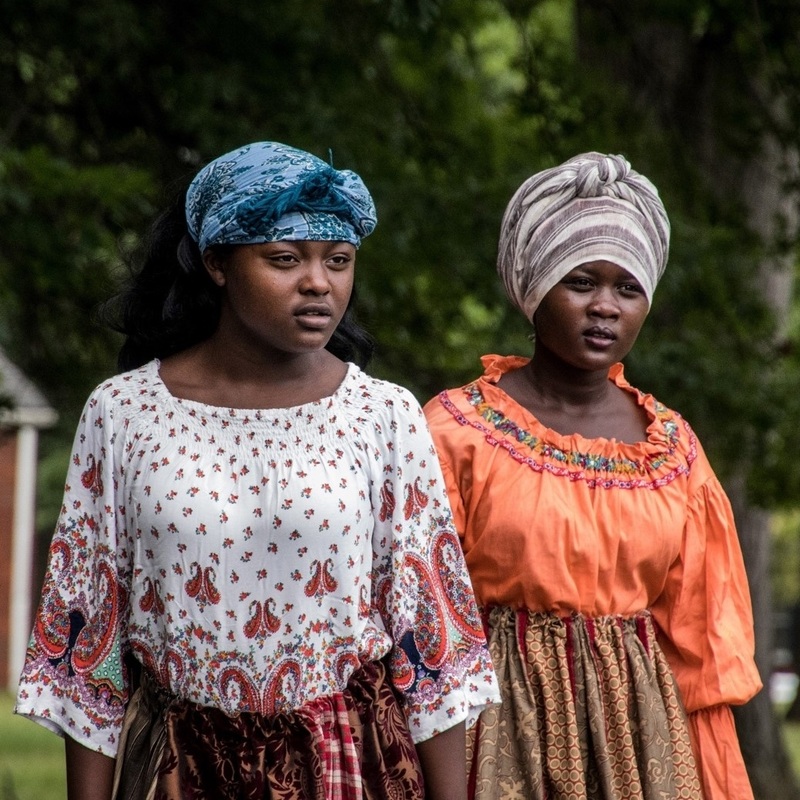 The one-weekend-only production at CPT is followed by a community-wide tour. 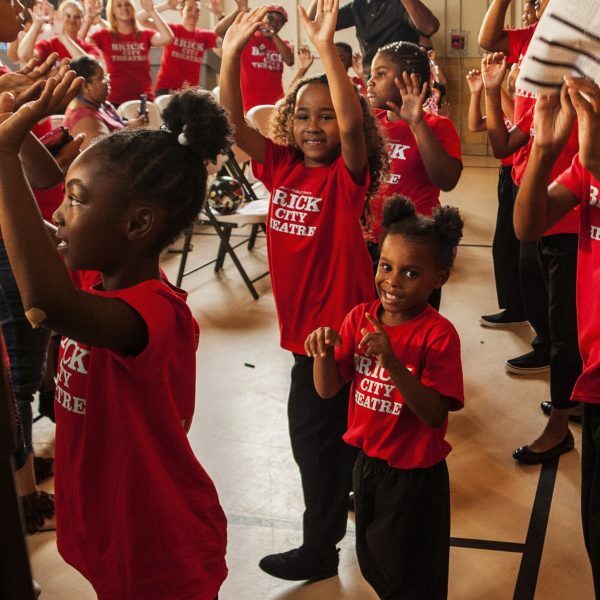 The Y-Haven Theatre Project is a 21-year partnership between Cleveland Public Theatre and Y-Haven, a branch of the Greater Cleveland YMCA. Y-Haven is a transitional housing facility for formerly homeless men recovering from substance abuse and mental health challenges. 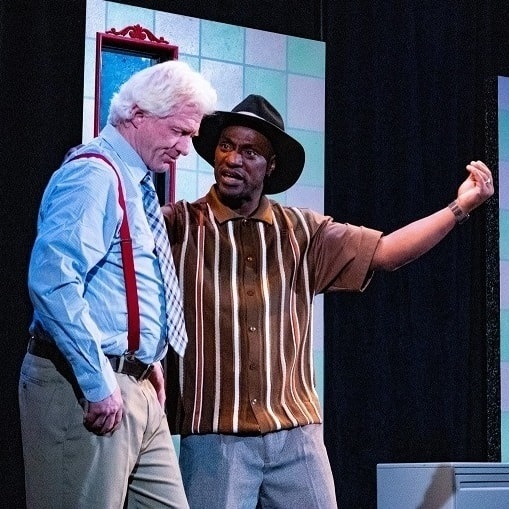 Every year, CPT collaborates with the clients of Y-Haven to create an original theatre production, performed by the men and based on their life stories. 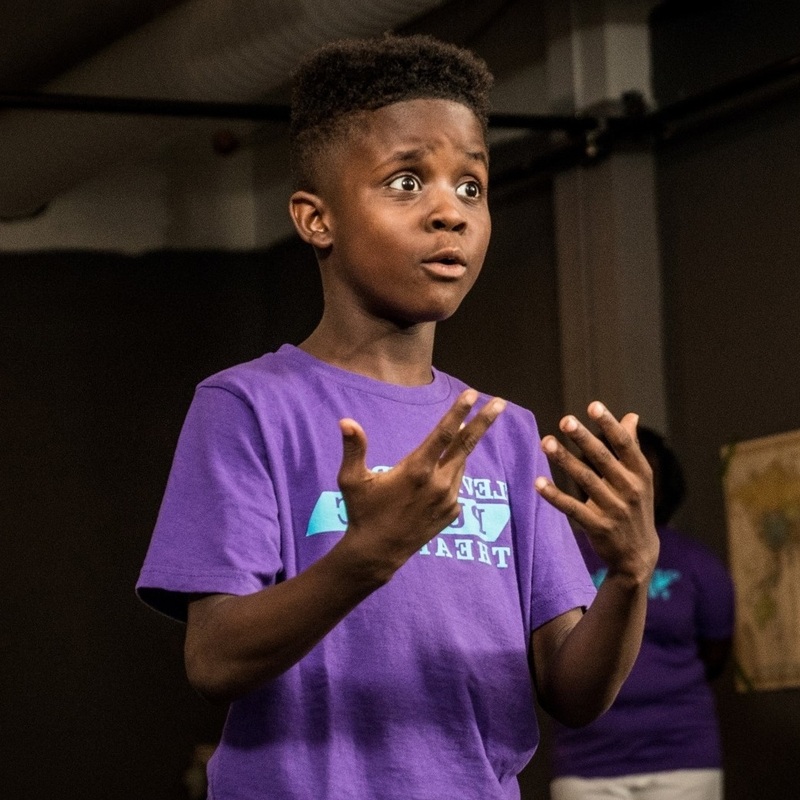 The Y-Haven Theatre Project captures an authenticity and emotional power as the cast shares their true-to-life experiences often hidden from the world. CPT Presents… Pinch and Squeal’s WIZBANG! Runs October 25 – 26 & January 31 – February 1. James Levin Theatre. Originated by Jason & Danielle Tilk. Featuring multiple acts by variety performers. 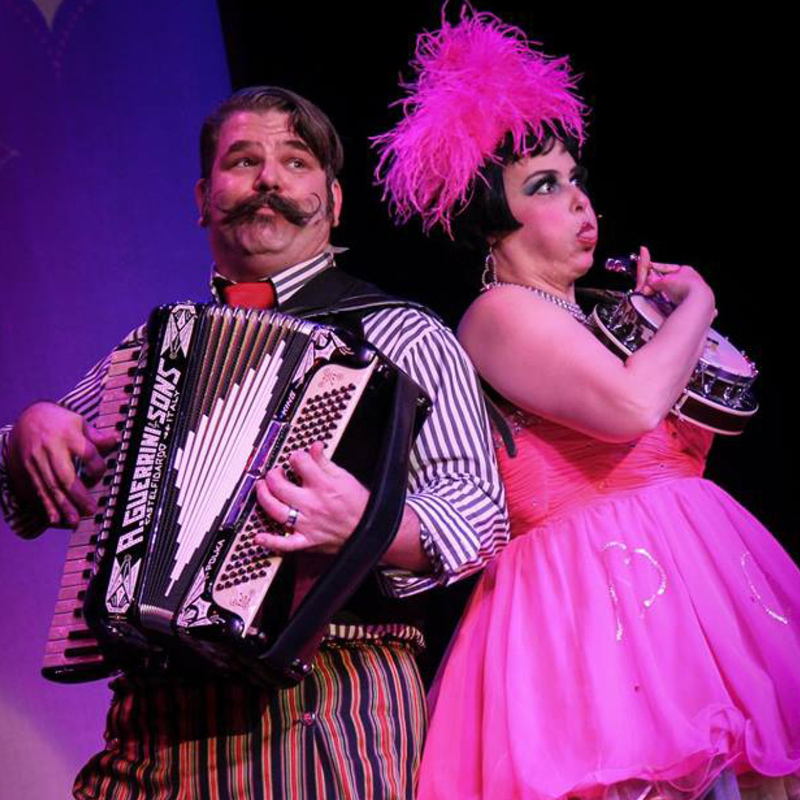 CPT is proud to present Pinch and Squeal’s WIZBANG!—Cleveland’s very own variety circus theatre. Two spectacular weekends of absolute madness filled with ridiculous acts, local circus performers, and professional misbehavers. Shoving vaudeville kicking and screaming into the 21st century, Pinch and Squeal invite you into their absurd world where the nonstop entertainment unfolds all around, in your lap, and even above you! Come and laugh with us! Alongside the above programming, CPT continues year-round education programming throughout Cleveland. 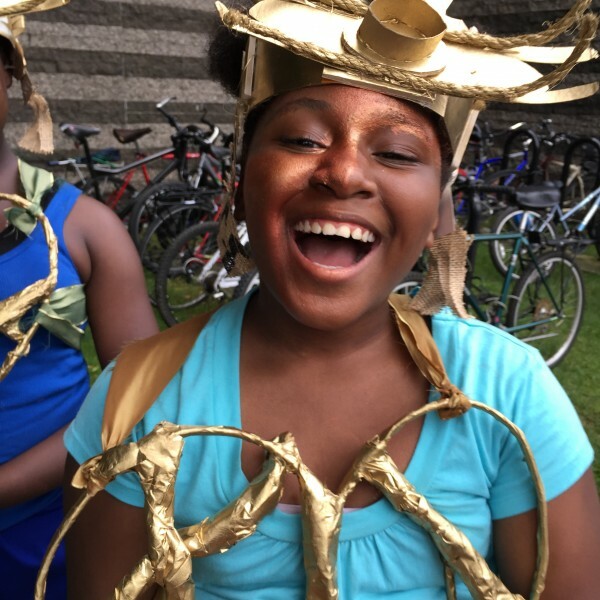 Based on CPT’s guiding education principles of Empowerment, Equity, Excellence, and Enthusiasm, CPT’s Teaching Artists work to build close, long-term relationships with students, families, and community partners. This facilitates trust and open exchange among our participants, Teaching Artists, and CPT, leading to a supportive, reciprocal learning environment that fosters powerful and life-affirming art experiences. 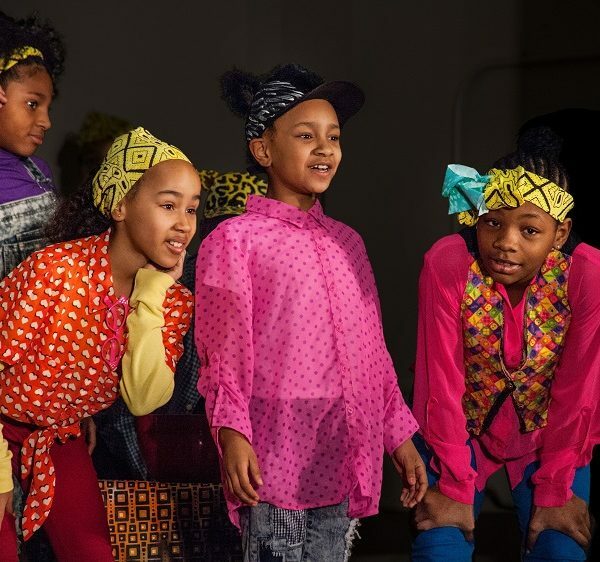 Cleveland Act Now is an intensive performing arts program onsite at CPT for young artists from Cleveland and surrounding neighborhoods. 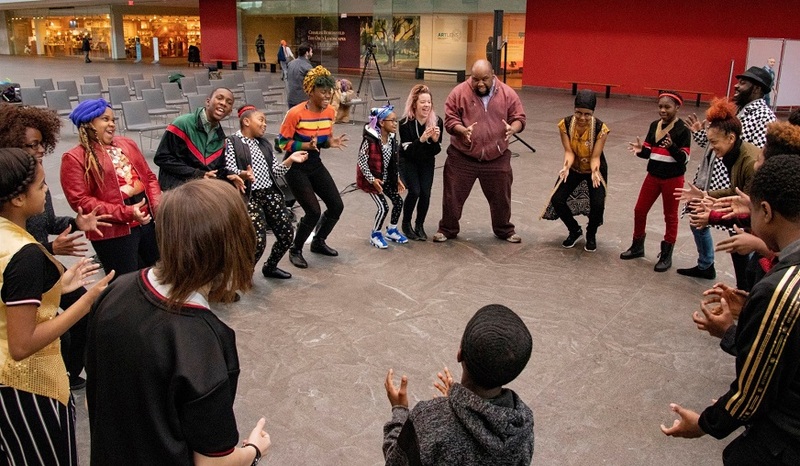 Now in its pilot phase, thanks to the Cleveland Foundation’s new mastery-based arts initiative, Cleveland Act Now is a challenging (and fun!) theatre training program. 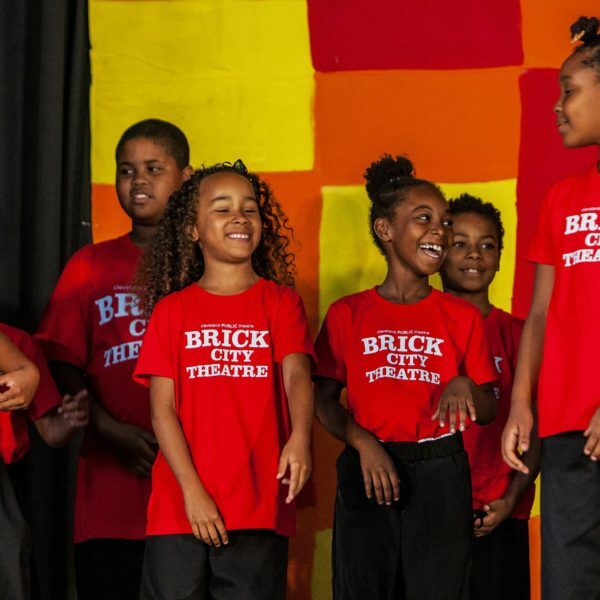 Young artists learn acting fundamentals, storytelling techniques, and play creation. 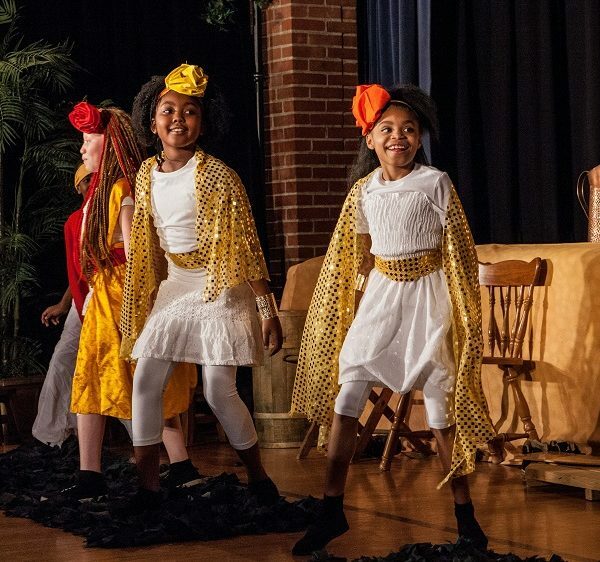 Under the dedicated guidance of CPT Teaching Artists, young artists work on scripted plays and develop their own theatrical works while receiving arts instruction. CPT also offers free youth programs at Harvard Community Services Center. 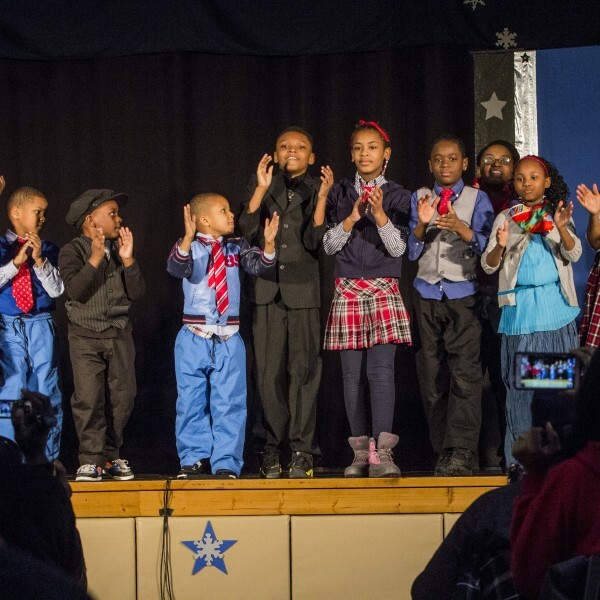 STEP, a rigorous arts-based program that provides hands-on job training, engages Cleveland youth from families defined as low-income in a powerful learning experience that develops job skills, academic achievement, and interpersonal skills. As part of this eight-week summer program, 30 youth, ages 14-19, work together to create, produce, perform, and tour their own play. 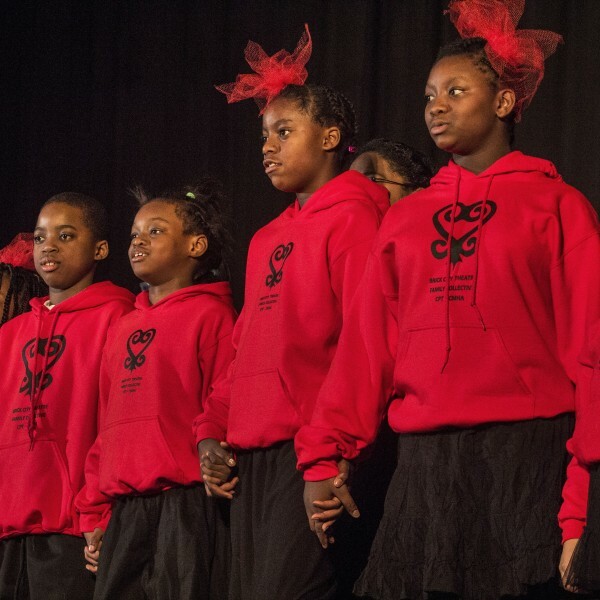 This program is the longest-running arts-based, workplace development program in Cleveland and is an international model for engaging youth. Y-Haven Theatre Project is a program for residents of Y-Haven, a transitional housing facility for formerly homeless men in recovery from drug and alcohol addiction and mental health challenges. 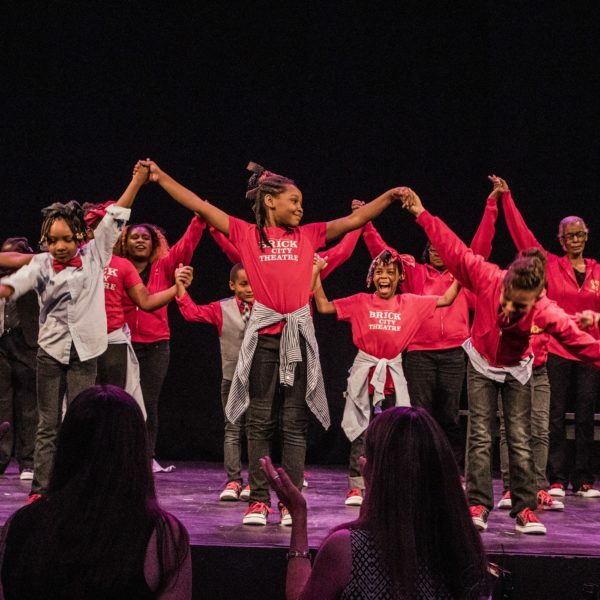 The program teaches performing arts and technical aspects of theatre while addressing critical personal, interpersonal, and job-related skills through a comprehensive process. 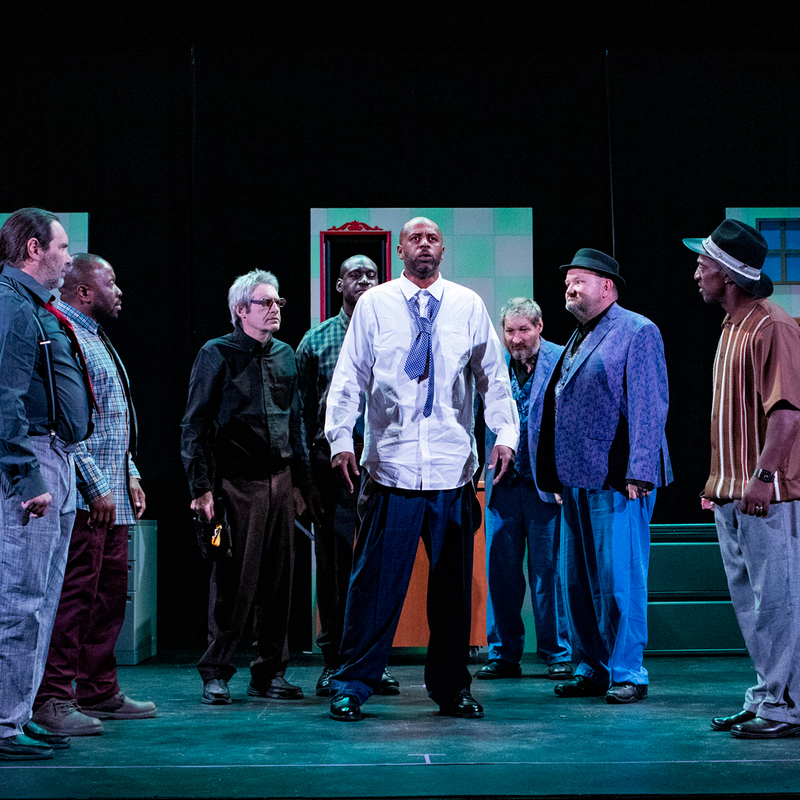 The program culminates in the performance and community-wide tour of an original play based on stories from the men’s lives. 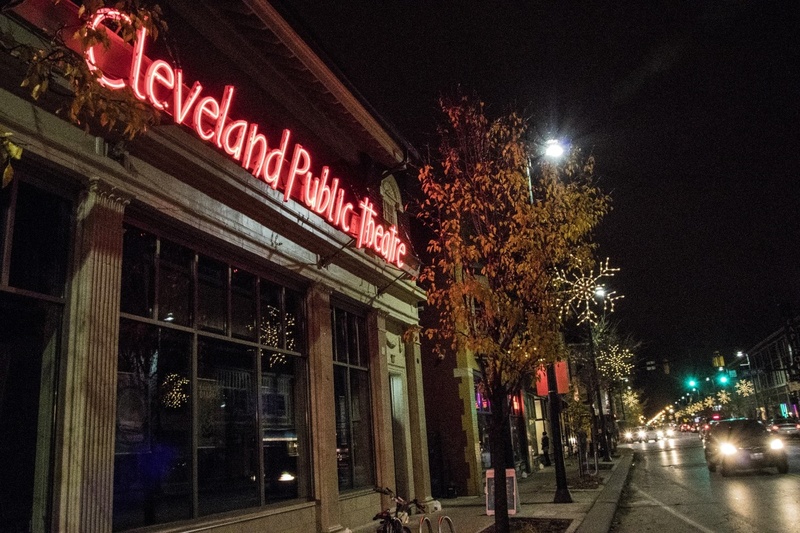 Cleveland Public Theatre’s Box Office is located at 6415 Detroit Ave., Cleveland, OH 44102, and unless otherwise noted, all performances take place in venues inside the CPT campus. Cleveland Public Theatre’s campus is comprised of two primary venues—the historic Gordon Square Theatre and the James Levin Theatre. Both mainstage venues are fully ADA compliant, featuring a patron elevator and all gender, wheelchair accessible restrooms. In addition to CPT’s primary spaces, the campus includes three auxiliary venues, the Storefront Studio, The Church at CPT, and Parish Hall, the latter two of which are located on the east end of the CPT campus. Due to the historic nature of The Church and Parish Hall, these venues are not ADA compliant at this time. Unless otherwise noted, shows at the Gordon Square Theatre begin at 7:30pm and shows at the James Levin Theatre and other venues begin at 7:00pm. For special venues and event times, check the website for details. Cleveland PUBLIC Theatre is proud to practice pricing transparency—the price you see on our marketing materials is the price you’ll pay at checkout. No sneaky ticket fees. Ever. Full production single tickets are $15 – 35, with premium pricing for CPT’s holiday show and other special events. 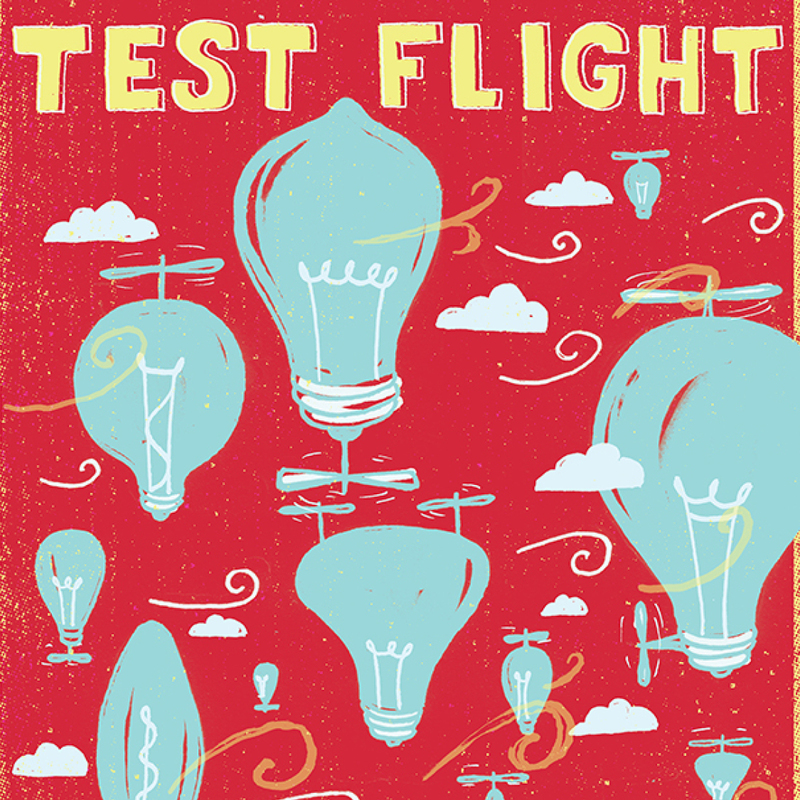 New Play Development pricing ranges from $10 – $25 (Entry Point and Test Flight). Student and senior discounts are available for all Friday and Saturday nights. For more information, go to www.cptonline.org or call the CPT Box Office at 216-631-2727 ext. 501. 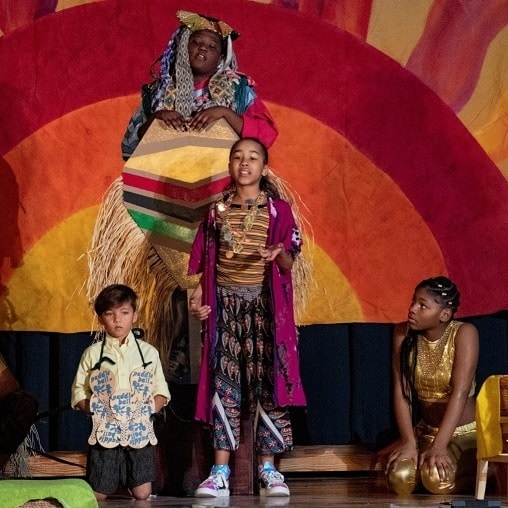 Cleveland Public Theatre’s audience engagement initiatives seek to provide opportunities for our patrons to engage in meaningful pre- and post-show activities, aimed towards enriching the audience experience and brokering connections between audience members and the art presented on our stages. FREE BEER FRIDAY – Every Friday at CPT is “Free Beer Friday.” Stick around after the performance and enjoy a drink or two on CPT. But, wait… we all know there’s no such thing as a free lunch. Free Beer Friday isn’t really free. 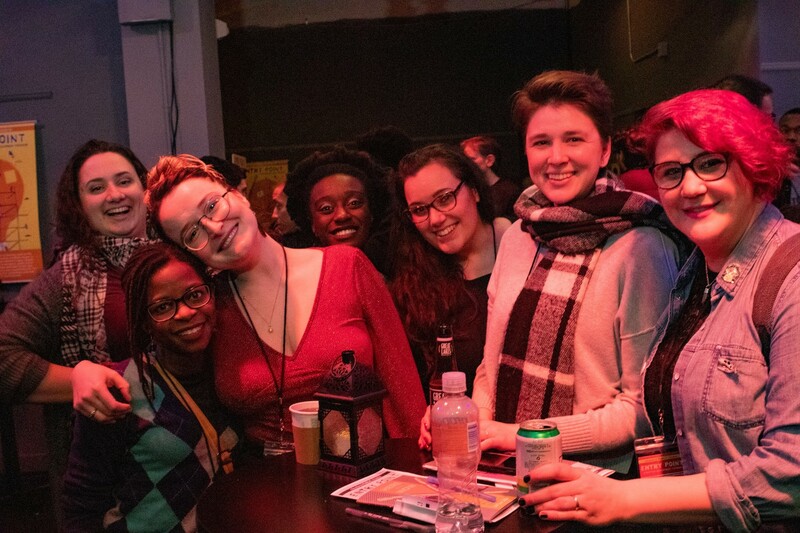 When you grab a beverage, we want you to “pay” by engaging in conversation with someone else about the play—the person you came with, a new friend, or stranger. You’ll receive a playing card to set you off on your mission. Thank you for contributing to the artistic adventure with your intellectual currency. EVERYONE’S A CRITIC – For years, we’ve been asking folks to share feedback and responses to productions, and we’ve noticed this feedback is often more poignant, useful, and eloquent than some of the reviews we’ve read elsewhere. 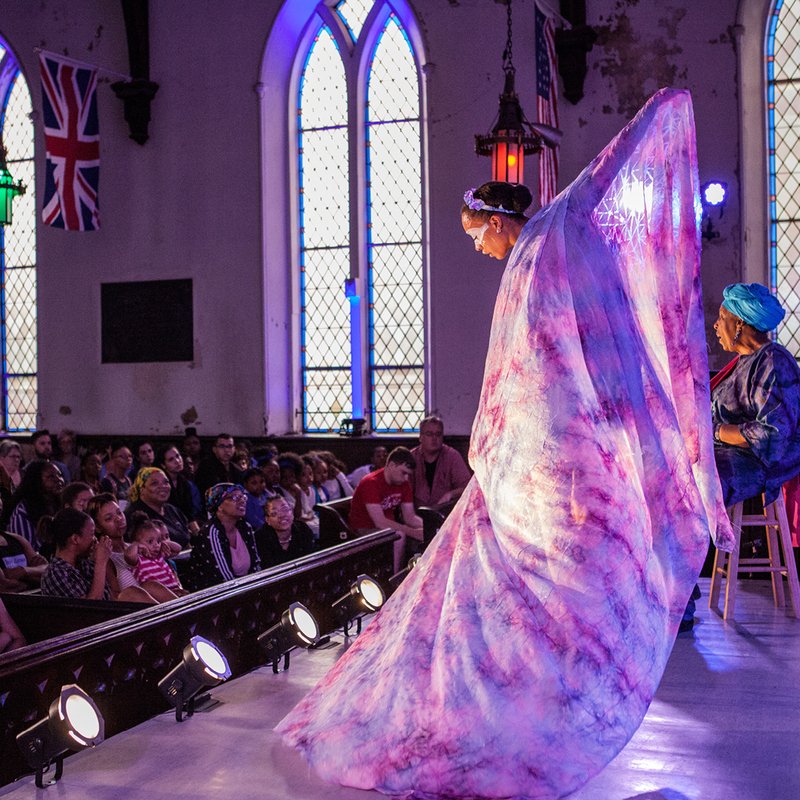 We got to thinking—what would it be like if community members, key stakeholders, and folks with an interest in a play’s themes were invited to review shows? CPT now hosts a public blog where folks can post their own reviews of CPT productions. There are two types of reviewers—1: invited critics by CPT (and in the spirit of full transparency: they will be compensated) and 2: you! Lending your voice will deepen the conversation—and you’ll be rewarded with vouchers to redeem for snacks or beverages at the CPT bar. Thank you for furthering art here in Cleveland. FRONT ROW? FREE DRINK! – CPT conducted a “national study” (…if only) and found that at theatres using general admission, the front row fills up last. We know that sitting in the front row is a great experience for audiences, and a full front row inspires the performers on stage. When you arrive, be the first to snag a bar voucher from a seat in the front row and take it to the bar. We trust you’ll find your way back to the front row and enjoy the performance up-close-and-personal. AUDIENCE INTERACTION – At CPT we believe everyone is an artist, and our audience interaction installations invite audience members to engage with ideas surrounding the show by participating in hands-on lobby installations that visually and powerfully transform the space for select shows. POST-SHOW ENGAGEMENT – Curated panels, artist talks, and other post-show enrichment invites CPT audience members to deepen their experience.